When I told my circle of American/Italian/Mediterranean friends about my three-year-old son’s school trip, many of them did a double take in shock. This spring, my son Hugo’s daycare went on a three-day overnight stay to a farm-turned-hostel a few hours north of Berlin. The overnight trip is a German tradition and is open to all children three-and-a-half years and older. The intention is to foster independence and group spirit, and it’s also a way of giving parents a little break. In 15 years of doing the trip, our caregivers told us, only one child has ever needed to be picked up. The kids absolutely love it. To test their readiness, the kids attend a trial sleepover at the daycare about a month before. Hugo was so excited about it! We parents picked up the kids in the afternoon as usual and went to the playground, but then brought them back to daycare with their overnight supplies at 6 p.m. After saying goodbye (Hugo literally pushed me out the door), the children ate a special dinner with their caregivers (including French fries, a rare treat, which my son could not stop talking about for at least a week after the sleepover). After that, they got into their pajamas, brushed their teeth and had story time before going to sleep on the same mattresses they take their midday naps on. The next morning, they had breakfast together and enjoyed a regular day at daycare before being picked up in the afternoon by us parents. All the children eligible for the trip “passed” this test with flying colors. Our hero caregivers; our hero kids! And so it came that a month later, my husband and I packed our son’s suitcase with plenty of clean clothes, his toiletries, a favorite book and a love letter from us. I’d been really cool about the trip until the morning of his departure, when I was suddenly saddled with sweaty palms and a nervous stomach — the usual symptoms of my travel days! I did my best to hide my nerves a little Hugo stayed very relaxed, even picking out his own outfit and filling his backpack with the necessary supplies, like a snack (a cheese sandwich and a bag of blueberries), his favorite stuffed tiger and his blue sunglasses. We walked to daycare, where Hugo gave me a big kiss and an even bigger hug and then said goodbye with nary a tear. The parents were told to scram as soon as possible, without any long, drawn-out goodbyes, and once all of us were out of sight, the three caregivers gathered up all their 15 little charges and took them on a quick subway ride to the nearest train station, where they boarded a train for the farm. One of our sweet teachers was kind enough to take a quick snapshot of Hugo and his buddy sitting side by side on the train, which she sent to me via WhatsApp not even an hour after we’d said goodbye. They were holding their snacks and had the biggest grins I’ve ever seen on their faces. In that moment, all my jitters melted away and I could relax. Thank goodness for technology! Once they arrived at the local train station, the kids and caregivers headed to the farm hostel and then the real fun began. For three days, the kids played games and ran around outside. They slept two to a bed (hilariously, Hugo called it a “Hochzeitsbett,” or wedding bed — no idea where he got that expression! ), went on pony rides (“I only went once, Mama, but Timmy went two times!”), explored the farm (“lots of stones and dirty snails”), rode a tractor holding tightly because it shook so much (“like this, Mama” — and two clenched fists were made), ate lunch on picnic tables (sausages and potato salad), played at the farm’s playground (“and we got to eat cake there!” — the national tradition of an afternoon cake break clearly respected) and hung out with the animals (cows, sheep, goats, a pig, and a cat with nursing kittens). At night before bed, the teachers read aloud the books and love letters that the children had brought along. At the end of each day, one of the caregivers would send a quick report by text message, sometimes with a photo, to a designated mother, who would then forward this information on to the rest of us so that we had a daily update. The reports went along the lines of: “Your children are all eating and sleeping well! No signs of homesickness! They are strong and happy! You should be proud!” combined with mentions of the weather (“there was a big thunderstorm last night, but no child was bothered or even scared by it”) or any noteworthy activities (like the tractor ride, which was apparently thrilling even for the grown-ups). As short as they were, these messages were surprisingly comforting. The day of their return, a text message reported that the children had all woken up looking forward to seeing their families again, but that spirits were high. Some children were singing songs, while others were playing Uno. We were asked to pick them up at the train station and, oh, the anticipation! I felt as nervous and as butterflies-in-my-stomach as I did when his dad and I were first long-distance dating more than a decade ago and I’d meet him at the airport. The parents gathered on the track with flowers for the teachers as a thank you for all their hard work. Magically, the exact train car with our children in it stopped right where we were all gathered and I could see Hugo’s sweet little face stuck up against the window looking for me. The doors opened and the kids ran into our arms and it felt absolutely wonderful to be reunited. Oh, and in case you’re wondering about all the amazing dates and quality time that my husband and I had during those three days that we had to ourselves, I came down with the flu and spent the entirety of Hugo’s trip in bed with antibiotics and a hot water bottle. Ha! How cool is that? Do you think your kids would be up for it? Thank you so much, Luisa! 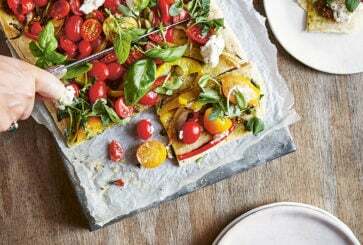 Here’s her blog and new cookbook, if you’d like to read more. P.S. Parenting differences around the world, and babies sleeping outside in Denmark. My Husband is from Argentina, and they do these overnight trips for kids three and up as well! I think it’s great for breaking the habit kids can have of dependence on their parents. Oh yes reminds me of my childhood in Germany! When I stayed at a youth hostel in Florence some years ago, I saw a large group of really young children with caregivers, and I was amazed! They behaved perfectly well, seemed to feel quite secure and were all in all an awesome group of people. So I guess it is more of a European tradition, but one I definitely like. I’m sure it helps children to be autonomous and confident from an early age. We have much to learn from the Europeans. Ah wow! How cool. 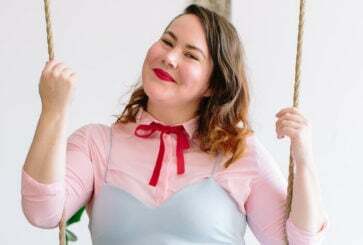 Thanks for this, it made me re-read Luisa’s previous interview – and discover kindergeld! We’re about to move from Canada to Germany, and we didn’t know about this, so it’s really helpful. Thank you! I have never heard of this and I have two kids in Germany, so it must just be certain areas or something (not a tradition that applies to the whole of Germany). 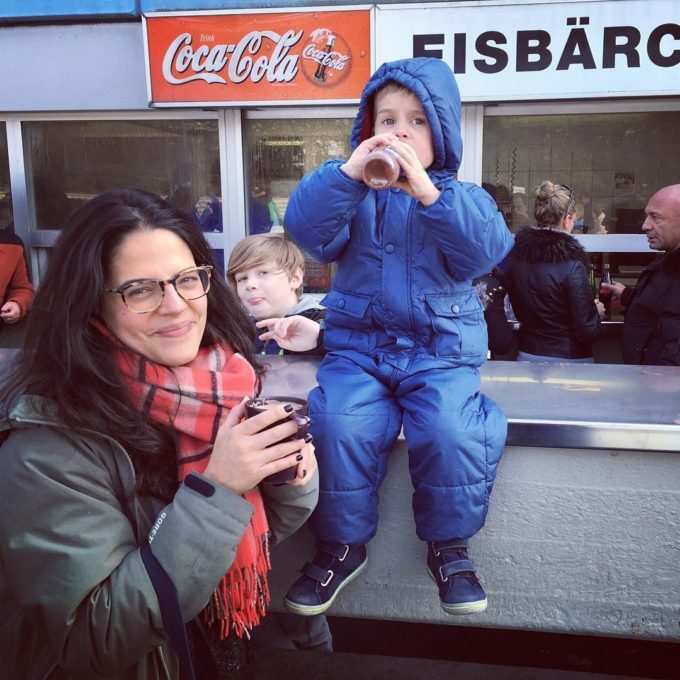 Please let Luisa write a post about German kids and their exposure to TV, movies and such. I am always so amazed when I read about what American kids are allowed to watch/play at what age. It would be so interesting to hear from her perspective. they do this at many Hamburg Kitas as well :) . Fantastic post!! Great writing, Luisa!! what a great idea! it’s great to develop a little independence at a young age. same concept as sleepaway camps! I live in Northern Germany (near Kiel) with 3 kids and due to moving house twice in six years my kids each visited a different kindergarten. Only one of the kindergartens offered this type of a trip, it was a regular place, run by the town council, nothing private or fancy. And I know from my sister un Berlin and friends in other towns that these trips are not known in most kindergartens. So it seems to be an individual thing. Each kindergarten can decide on what kind of extra curriculum they offer or don´t offer. However all kindergartens seem to offer regular sleepovers. Our kids loved these and still talk about the experience! We live in Hamburg/Germany. All our three sons packed their little suitcases to go on kindergarten trips (3-5 days) at the age of three. They loved it! I kept the postcards they sent with cryptic signs and drawings expressing the joy they had with their buddies and the kindergarten teachers. I grew up in Romania, and I remember having a 1 week holiday with my kindergarten mates in summer. No families allowed, and I can’t imagine which were our parents thoughts (it was in the 70’s) without any cell phones or Whatsapp (I assume though that the parents could call the camp on a landline). I remember the smell of the burned milk (I assure you, drinking over-burned milk is not a Romanian tradition at all) and the taste of the hot tea with rum essence (no alcohol!!). All I am left with are pictures of those holidays. I loved reading this article! How fun! Loved reading this article! I have lots of German roots in my ancestry!! Funny. I’m from Germany and have a little daughter and know lots of other families even from Berlin, but I’ve never heard of this tradition. Maybe it’s a Montessori kindergarden? wow. that would be hard, but great. My son went on a cattle drive with friends at age 2 – stinking cutest pictures of him on a horse with a cowboy hat and they said he kept speeding up the 4-wheeler and laughing hysterically as they screamed. :) Now he’s 8 and doing summer camp half the day and half a day at a friend’s house – 3 kids – him, his best friend – almost 8, and the older sister who is 11. I can’t tell you how many MANY people have told me they wouldn’t do that. I’m like I was watching infants, alone, by the time I was 11…what is the big deal? the law here allows it but my goodness…people act like I’m stringing my child up and torturing him. Everyday they are happy and running around laughing outside – not on TV or electronics. I think its GREAT. but everyone else…not so much! I love it! Small children are capable of so much more than we in America give them credit for. Wonderful that this is a normal thing in Germany. In the UK I don’t think it would really happen except through Brownies/Guides/church etc. There’s too much red tape and worry over neglect/abuse. I was at boarding school – a weekly phone call to my parents for a short duration because it was so expensive (or, even, a fax sometimes!) seeing my mum each half term and travelling out to Saudi most holidays to see both parents meant that I swiftly became independent. I noticed at university that those who hadn’t been to boarding school really struggled with everything – and I mean everything from laundry, homesickness, going to a cafe or activity by themselves. I left ‘home’ if you can call it that, at 18 to move in with my boyfriend (now husband) and attend university in a different city. My parents trusted me to get on with life – and I’m not sure how much sway they had over me after sending me to school for 7 years and they lived abroad even whilst I was at university. I think it’s excellent to foster independence from an early age and I’m determined to do so with my little one (currently kicking my tummy – 4 more months to go until she arrives!). I’m grateful to have been forced to become independent even if it was painful, difficult and hard at the time. – how much easier it would be to start them off young – just as we do with healthy eating, toilet training, manners etc!! Boarding school must be a lot harder I imagine since you find your way and define who you are at a very young age without the guidance and surrounding love of your parents. Of course they love you as much even when they are not there but you must feel it differently I guess. The media has done a great job of creating panic and anxiety amongst parents in the USA. Sadly, this generation will pay the price of helicopter parenting. Who’s needs are really being met…parent or child’s? I don’t know from a child development perspective what would be considered the best age to do this at but I think the idea is excellent at the right age. It’s perfect that the teachers sent updates and photos to reassure parents and I agree with Joanna that the comments they sent were beautiful…”they are happy…you would be so proud”. “It takes a village to raise a child.” And I would add to that quote…”an emotionally healthy one”. OMG – what a mass of comments!!! Just wanted to say that we live in Hesse, Germany and that unfortunately school trips (overnight) just start happening in 3rd grade here (when the Kids are around 8 years old). I think I am going to move to Berlin! I feel so left out!! I also have lots of friends in Munich (went to U there, and it´s the first time I hear about that happening down there) SIGH!! They happen here in Hamburg! What a learning experience to read about how others raise children around the world. Kids are more independent and self-reliant than we give them credit for. I would love for my children to participate in a trip like this. Thanks for sharing. I like this post, always nice to read other peoples stories, but WHY hurry?!?! In my opinion three year olds are too young for this. It is the same here in Slovenia, all the public kindergartens do the same, and parents admit they like it just because they have some free time/days. That’s not the way! My husband and I won’t let our son on these trips until he is in school. 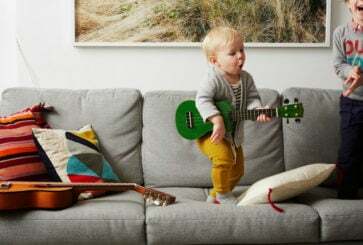 Independence starts at home; no need to send little ones away! I’d have to agree. While this sounds like a magical trip for kids….it’s maybe too long and too soon! We live in Luxembourg, a small country next to Germany, and my toddler went on an overnight daycare trip when he was 3.5 years old. I did not worry one bit about letting him go off with his friends and caretakers. He had a lot of fun sharing a dorm with his friends, I don’t think the kids got a lot of sleep that night and I’m pretty sure the caretakers didn’t get any, but I am all for letting kids of off on fun trips like this. And my little boy liked it a lot. I really do think that our culture here in Europe is different in this respect. Really love the sound of this in theory – it’s like the European approach starts from a default position of positivity (assume the best and expect no issues and the kids just follow this lead) while the US/Australian etc approach starts from a place of concern/fear/protectiveness. Where we live in Singapore as expats, the local children have lots of independence at a young age, lots of solo kids on public transport, at the playgrounds or even at the movies from a very young age. As my son gets older (he’s 7) I can feel his increasing push for independence, and my internal battle with myself between allowing him this important freedom and my anxiety to keep him safe. My son will go on his first proper school camp next year when he’s 8 – 3 nights “over” the border in Malaysia – sending my son off on a trip with his passport and without us will definitely take some getting used to! We do this in Denmark too. And I remember how much I loves those trips when I was a kid! It is a lovely story, but I can also tell the other side of it. I too live in Germany, though I was born and raised in Norway. My son did his first trip with his daycare here when he was 3,5 years old. It was his first time away from us ever. Our daycare goes on this trip once a year from Monday to Friday, so it is 5 days! But we were all very enthusiastic about it and he was so excited, that it did not occur to us that it would not work out. Our daycare also confirmed that in all the years they have been doing it, not one kid had to be picked up due to homesickness. They had a few incidents, where a child had to be picked up because it got sick, but that was it. We did not hear anything the whole week, apart from a confirmation that they had arrived safely on the first day. So I assumed everything was fine. But when they got back, my son and the caretakers told us he had cried until 4 in the morning (!) the first night and even thrown up the next morning at breakfast, probably because he was so homesick. But after that, he had been doing fine and all-in-all it seemed that he had enjoyed himself. One year later, he did the trip again, but this time he was not leaving with such a happy smile on his face as he did the first time. He was a bit back and forth the days prior to departure whether he wanted to go on the trip at all; I guess he now knew what was awaiting him. But he went and since we again didn’t hear anything, I assumed everything was fine. However, when they got back, our son said he didn’t want to go on such a trip anymore. He had been crying every evening and sometimes during the day, because he missed us so much. And he had thrown up a few times and generally not really enjoyed himself. At least that is what he told us. The latter part the caretakers did not confirm though. He told us he had said to the caretakers that he wanted to go home, but I think they were all so focused on making it work for him, that they didn’t want to call us. They told us that they thought that if he mastered this challenge, he would be so proud of himself and a lot more self-dependent after. And I don’t really blame them – their intentions were good! But can you just imagine how horrible it must be when you are just 4,5 and all you want to do is go home to mom and dad, but no one is really listening to you and basically ignoring your wishes? I think he felt trapped there and this time he actually seemed traumatized when he came home. It did not help him become more self-dependent at all, unfortunately. After the trip, it took weeks before he sort of became himself again. He would cry even when we left him in daycare in the morning (he had never done that before) and he was generally just not such a happy kid as he normally is. I think it took about two months for him to process it all. This year he will definitely not go on the trip. He has not changed his mind about that and we are taking him very seriously. I guess most kids here in Germany do enjoy such a school trip, but I think that it might be a little bit too early for some children and one should really consider it carefully before sending them off to something like this. In our case, it felt like it backfired. In my childhood, I severely suffered from homesickness and it would only get worse when staying longer. I agree with you that a kid does not necessarily become stronger by holding on and being “forced to be tough” and I think it really is important that the adults do not push the kid but simply wait until it is ready. I think my homesickness originated in the fear that my needs would not be understood by others and that only my parents knew me best and could respond to me accordingly. I totally agree and I would actually say that my experiences with German daycares have been more than respectful with kids about this – more than I experienced in the US. A tremendous amount of attention is placed on transitions for kids, making sure they feel comfortable, happy and supported – most kids here don’t start to attend daycare until at least 1 if not 3 (largely because of long maternity leave laws). I commented earlier but wanted to reply to this because it chimes with my experience as a child! I really hated spending the night away from home, even though my parents were happy with it and encouraged us to be independent. I grew up in the UK and my school did a 3/4 night trip every year from when we were a little older – maybe 6? Anyway, I hated them, even though I wanted to enjoy them because everyone else was. The teachers were perfectly kind and supportive, but they really did not want me to have to call or go home, even when I was still crying at midnight every night, because it was supposed to be fostering independence, and I think they thought that they were helping me. The first time I stuck it out, but really did not enjoy it, the next time I actually went home. Because I was a little older, both times I felt ashamed to be so upset, and the other kids did tease me about it. Generally, I don’t have happy memories of the trips, although some of the activities we did were fun. I also think it made me take longer feeling comfortable spending a night away. The good news is that it didn’t last, but I don’t think that these trips are good for every child. Also, I know that other commenters have said how they aren’t compulsory, but my experience is that if everyone else is excited and happy to go and enjoys it, even little kids do feel pressure to go too. That’s certainly how I felt. That is just terrible and I’m so sorry you had that experience – twice! I would be very upset with your caregivers for not being upfront with you about your son. Our teachers make it very clear that they really only *want* to take children along who will enjoy it – and there is a post mortem after the trip with the parents where the teachers tell us individually how our child handled everything, whether there were tears or difficulties or homesickness. In our case, Hugo apparently really did enjoy it all, never cried, had a blast with his buddies, ate and slept well and was generally a champ. The teachers have been putting up photos of the trip and you can see from all the candid shots and moments that the children really are happy, busy and well taken care of. Amazing tradition, love it, what an adventure for the kids! I think it’s healthy for them to experience things without parents occasionally. My oldest is 2.5 and I’d prefer for him go away overnight with his caregivers from nursery than his grandparents – they spend way more time with him, are more agile, and frankly are more fun! But he goes to an amazing, small, progressive nursery and I trust them. If they had this option I would ask my son if he wanted to do it, once he was 3.5-4, and I’m 150% sure he would do it in a flash. I’m European but live in Asia, where this idea would generally totally not fly! Where I am, at least. Personally I feel little ones need experiences where they can stretch their wings without their parents. I love that you ask if people’s kids would be up for it Jo – I work in early learning and development, and believe giving children choice is an early part of independence. Just that choice, let alone the trip, is empowering them. I have never heard of this – and I am German born and bred. 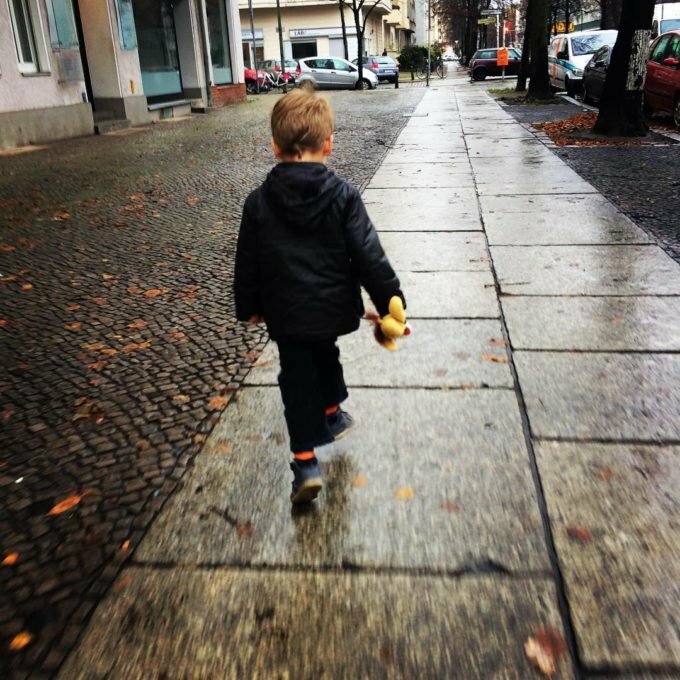 The most any kindergartener I know has ever done (I live in Munich) is a one-night sleepover in their own kindergarten, and that would be when they’re six, not when they’re three-and-a half. This may be more of a Berlin thing than a “German tradition”. I find this fantastic! I grew up in Germany and remember doing the same in first or second grade. We had class in the mornings and explored in the forest in the afternoons. For a whole week, I think! So fun. Great memories. I try hard to foster similar independence in my daughter today here in the US. It’s hard though. I trust her, but I don’t know if I trust those around her. If she walks along the road alone, will drivers be watching for her? If she goes to the store alone, will she get strange looks from people? Sorry, I need to comment again. I’m a mum to a two year old in Berlin and just to illustrate parenting in Germany a bit more: I recently read an interview with a fear scientists (didn’t know this even existed!). His approach was to let your kids go as much as possible and, in certain non-life threatening situations, even risk them getting hurt. 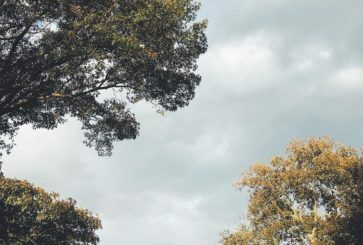 In his opinion since children rather learn through what they physically experience themselves rather than through what they’ve been told, it’s fine if they take a small fall because after they’ll have a reasonable fear of heights and would probably be at a smaller risk of falling from great heights. In contrast, if their parents only tell them about the risks of falling from great heights and the possibility of them getting hurt when falling it’s only a foreign and very abstract concept to them that they have more difficulties applying. Makes complete sense to me! Did you see Sunday NYT about the playgrounds in Berlin? This may have been asked already, I haven’t yet had time to read all the comments, but is this wonderful trip only offered to children who are in daycare? Kids who have stay-at-home-moms can’t participate in this sort of event? I’d be so sad if I lived there with my family and my child had to miss out on such an exciting adventure because I didn’t out him or her in daycare. In this age those trips only work out because the kids in the daycare know each other so well and are also attached to the care takers. So it makes sense that this is only organized by the daycare. In Germany, almost all children three years and up are in daycare, at least for a portion of the day, as daycare is subsidized and people here believe that children of that age need to be socializing with other kids. The trips are organized by the daycares privately, so children not in daycare would not have access to them. I’ll admit I would probably freak out! But I am 100% certain my husband would convince me to get over it. Haha! This is wonderful! I teach special ed preschool & would absolutely love to take my students on an overnight trip like this one. Such a great experience for the little ones. I love this! And it shows how much of our parenting is shaped by cultural norms and expectations — not by what children are capable of when in safe, age-appropriate, structured environments with good, professional carers. PS – plus it seemed like a natural conclusion to my girls’ 3-4 years at the daycare. They were saying goodbye to their teachers and friends they grew up with and sharing the transition to kindergarten with each other. It was incredibly sweet, and the pictures I saw of their weekend made me choke up. I marveled at the specialness of their time and the bond they had together. They had this deep and significant experience together that I was not party to except through pictures and their anecdotes. They had a life separate from me and were their own persons. That was a truly a parenting revelation. OK, my question is, who bathes the children? Or do they not bathe during the 3 days they are on their trip? I’m asking because that seems like a lot of work for the teachers and also parents might not be comfortable with others bathing their kids! The caregivers shower the kids, unless the kids refuse to be showered (like my kid) in which case they just make them wash hands, brush teeth, etc. Parents who would be uncomfortable with our longtime, loving caregivers helping to clean the children for 3 days probably just wouldn’t send the kids on the trip. I can only speak for myself and the parents around me but in Germany it’s less common to bath your children every day. We usually give our son a bath about once a week, more often in summer. Child doctors in Germany actually recommend to not bath your child every day but 1 to 2 times a week maximum as there skin would suffer from too much water and soap. this might be shocking for American parents, as I know that a daily bath for kids is almost mandatory, but here in Germany, we’re more relaxed about it and bathe kids usually not more than two or three times a week, maybe more in the summer. Great post! My husband grew up in London and said he went to the countryside of England and at one time Paris on school field trips! I think this is a wonderful thing for kids. Wow what a great story! It’s an interesting idea but I could not do it. We live in Australia and you don’t see unsupervised children much,in my experience. Daycare is a bit different because it’s at a fixed address, usually with adequate security and precautions to keep the children safe. While fostering independence is great, when they are that young their skills are so limited. I don’t know how much they understand about stranger danger or not running on to the road. Especially travelling on public transport – with a ratio just one adult to 5 kids. Why is no one mentioning the dangers? As a parent, would you ever forgive yourself if something, anything, happened to your 3 year old child when they were on a trip like this? Whether it was an accident or something sinister. (I don’t think here we can ever forget about Daniel Morcombe). I would love to believe the world was so safe and our children could enjoy these experiences. But I know as a mum, I would not be comfortable at all. I have had nights and weekends away from my son but I’ve always left him either with dad or grandparents. Everyone is different of course and to each their own. And the children are happy and enjoying themselves, so that’s great. I would of course never forgive myself or the teachers if something had happened to Hugo. But I also would never have sent him on the trip if I didn’t trust the teachers and him. Please remember that the caregivers are very experienced – two of them have been running the daycare for nearly 40 years and the third has been there for over 15 years. The children are not toddlers – they are preschoolers who don’t dart into traffic and understand the instructions to stay close, hold hands, etc. They certainly understand the importance of safety and following instructions – otherwise they wouldn’t have been deemed mature enough to go on the trip. Our kids, 2, 3.5 and 5 years old, take the bus and often subway at least a couple of times a week with their pre-school here in Sweden. I tend towards anxious/over-protetive but I am so comfortable with this and more than that, I feel so lucky that my kids get to experience so much on a daily basis. They go to the theatre, library, parks and forests and I think it’s fabulous. I see nothing but advantages for my kiddos. I see the potential dangers in many things, but letting my children experience their city and surroundings in the care of their very capable teachers is not one of them. On the contrary, since I myself am more “careful”, I so appreciate that their teachers give them more freedom. Wow! This blows my American mind! :) Not sure how I feel about letting my kids do something like this, because I don’t know how this would play out in the US. I would be SO NERVOUS. I can see how it would be a fantastic experience for kids. That said (and I could be completely off about this), but it seems to me that Germany (as well as Nordic countries) have a perspective on childhood that North Americans do not. I’ve always been struck by how these cultures embrace and respect childhood. You see it through the fantastic child care programs or just great, high-quality toys and kids’ clothes. Great post! So interesting and thought provoking, and emotionally moving! How exciting for Hugo and his friends! Yeah, I feel like you’d need a situation where the teachers really understand and respect the children’s needs and developmental stage, and you would need to be sure there’s a firm and loving attachment. And I think you do see that more in some European and Nordic contexts. The thing is, in general there is so much more of a gentle hand with kids here, not “sending them into the wild” as many would suggest. When kids start a new daycare, theres a transition period that lasts usually 6 weeks where the parents very slowly get the children bonded to their new caregivers. The first day, the parent stays in the room with the kid for an hour. When the teachers feel that a bond is being made, the parent goes into the next room for 10 minutes. The next day 20. Then an hour. This process takes weeks and is individually adapted to the child’s and parents needs. So these children have a really strong bond with their carers! I never really wanted to have kids. But I realize now, it’s only because I live in America! Ha. After reading all these motherhood abroad stories, Europe really just seems like the better place for families. I’d send my kid on that trip in a heartbeat. I think that’s so awesome! Kids should be able to explore the world on their own like that. Thanks for sharing! Ah this sounds so refreshing and good for the kids! You’re not the only one! Such hard work! oups I just posted my complete name by accident. Could you please delete it for me. i love this – i first went to sleepover camp at 6 for five days and LOVED it. I went for the next 10 years for 2 weeks or a month at a time, and was even a counsellor in my teens for the entire summer. We also played outside with neighbourhood kids every single day – riding bikes, playing in the park, someone’s house – wherever, often without parents. In my neighbourhood the street lights come on when the sun goes down, so that was the signal for all the kids to head home for dinner :) The upbringing has made me an independent adult, no question. I went to university 4 provinces away at 17, moved to the opposite coast at 21 for two years, and then moved to England for 2.5 years for law school. and….no homesickness ever! Great story. I just cried reading this. I’m a 1st time mom and just leaving our son WITH my husband always brings me to tears. I’m going to have a hard time when he starts pre-school. Love this. I’m also an American raising kids in Germany. 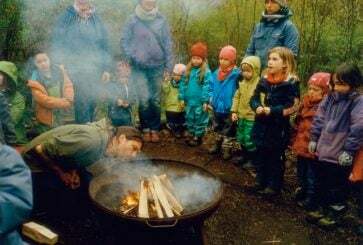 I did a blog post about my daughter’s class doing a similar trip every year (if you’re interested you can read it here- https://www.ribbonsundone.com/2014/07/30/camping-at-mandersheid/ ) Parents here definitely let their kids roam free at a much younger age than in the States. My husband is German and believes in that approach. I’m definitely more cautious (though he’d call it overprotective). When we lived in Paris, our 10 year old’s school class went on a 10 day trip to the south of France by train. The only parents that freaked out over it were the Americans and Canadians! It was such a great experience for him. He is now 24 and remembers every detail! Yes!!! I am German and live in Berlin, too, and all of the daycares/schools in Berlin go on such trips with the little ones! It seems to be an East German thing or tradition, we didn’t have this in West Germany when I grew up. My 5 year-old went on her second trip with her daycare just last week, and she loved it so much! Their trip was just like Luisa describes it here, everything was wonderful, and I agree with her that this is such an awesome thing for kids. The caregivers are just so wonderful to offer this, I cannot praise and love them enough! This is the most incredible story! I wish my boys could enjoy such an adventure. Sending my 7 year old to summer camp for a week this summer. Her older sister is also going and still people are giving me looks about it here (midwest). Our whole family is excited about the week. Girls can’t wait for 7 nights of sleep overs (TOP BUNK!! ), swimming, canoeing, and camp food. Parents are looking for a relaxing week of grown up activities. We will all gain a little more independence this summer. This is a fantastic idea! Someone needs to get working on this in the US, stat! I lived in Germany for 3 years and Austria for one; I saw kids of all ages doing things on their own – – from walking to school to riding public transportation, to traveling in school groups to other cities & countries! So inspiring! Would love if more and more independence were fostered in school/society here, too. I’m not sure how/where we got away from it; I too think children rise to the occasion and gain a lot from time on their own. I think it might actually be children’s attachment to more loving, capable adults in those cultures than it is independence, and on the other side, a real understanding of and respect for childhood as well. You don’t see much of either of those things here – lots of pushing kids toward peers and technological entertainment and less desire to let them lean on us adults and to keep an eye on them from a distance (so they can feel that independence under nurturing care). We get too obsessed with either independence or hot housing kids, imo, and forget our role as strong, confident nurturers who have the time and presence to let them work things out themselves without abandoning them or rushing them. I don’t have children and realize my opinion doesn’t hold as much weight as a mother’s. I can say, though, that one of the reasons I am weary of becoming a mother is because I don’t want to become overly attached to my child (like I’ve seen with so many of my female friends, in my opinion). Some of my friends’ toddlers can hardly be alone in a room without their mothers present or talking to them from the next room. Knowing things like this exist out there makes me feel like there are options outside of the oh-so-common helicopter parent. and I agree with Joanna about it being socially unacceptable to let your kid walk to school alone, for instance. It’s crazy to hear what can be considered child endangerment these days. I just love this tradition! Hi Amy, I’m one of those American mothers whose 3.5 year old is overly attached and I read this with a certain amount of awe and envy. In our case, the attachment has grown since I had a second child and found that it made financial sense to work part-time from home rather than pay for FT childcare for two small children (in that case I would only be working to pay for childcare). I’ve found that the independence my oldest had gained in his 2.5 years in daycare before his brother arrived has definitely deteriorated in the year since being home with them. I wish we could afford preschool and more chances for him to gain independence, but for now it’s playdates, multifamily camping trips, etc…. This was an inspiring article, though, and I’ll have to brainstorm similar ways of cultivating independence and adventure that a parent without childcare can afford. Sometimes I wonder if the issue is that we are now on second-generation helicopter parents here in the US. I can’t relate. We played unsupervised as of around age 4 or so and I walked alone to kindergarten at age 5. I remember fully what it was like.. great, natural and normal. As an old mom of a 17-month old, it makes me CRAZY to think my kid won’t have this option. From age tiny I’ve let given him lots of room to do his own thing at home, in the yard, in the park. ZERO accidents or issues. He just started daycare (nanny before) and after 1 week he’s marching into the room with confidence and curiosity. We VASTLY underestimate kids’ capability. America needs to get over its collective fear and anxiety. It will destroy the innovation, optimism and drive that made this country. Same for us, Sarah. Our son is almost three here in Berlin, too. I loved getting the updates about his older classmates on their adventure. Sounds great in theory’ As a child I who definitely would not have been ok to do this though , I wonder what the procedure would be if a child didn’t want to go? Up until I was at least 11 or 12, I couldn’t spend a night away from home – I would get really upset, agitated and panicky in the evening and have to go home, even though my parents were very happy to have me be independent, and I enjoyed doing other things (walking to school, navigating the London Ungerground alone) by myself. It felt embarrassing and I felt like a loser, and if I had been the only child who couldn’t go on a trip I would have felt even more upset, because I really wanted to like it! Interestingly, it didn’t stop me from loving travelling alone when I was older; I travelled around the Middle East alone when I was 18! I think some kids just need time. Just another perspective. I wanted to say that in our case (three year old in Munich), 2 night outing) the teachers were SO ADAMENT that every kid is invited, but no one has to come! In the end most kids do come, but nothing is forced. They emphasized that everything is allowed, if your kid needs night diapers or a pacifier or singing or stuffed animal or whatever, no problem! They’ve taken children in wheelchairs and with downs syndrome (it’s an integrated group). The low pressure environment was great for both parents and kids. Yes, it was like this in our daycare as well – no pressure. But at least this year, every kid wanted to join, and noone was homesick very much. If anyone wants to go home, they can, no problem. Of course some children are just not ready or interested in the trip, and there is no pressure for them to go. It’s entirely voluntary. I did at least three of those trips (monday-friday) as a kid with my kindergarden group before I even turned 6 – we all loved them (there were ponies, tractor rides, designated mugs and a piece of candy before bed) – and I still remember them fondly after more than 20 years. My older sister who went to the same kindergarden didn’t attend all of hers (surprisingly it was the last one she didn’t go to), which really wasn’t a big deal, to her or the other kids. I’m not a mother, but I hope to be one day. The very thought of sending my would-be toddler on a three-day overnight trip would just terrify me. Totally agree with Joanna’s earlier comment that I don’t feel “allowed” to give my kid the independence I think he is capable of or and has earned–or even give him the opportunity to earn that independence. Helicopter parenting has done a huge disservice to millennials, and I think it’s a real challenge to forge a better path. I’ve noticed a lot of the discomfort about a trip like the one described above is parents saying “this is too hard for me” and not “my kid wouldn’t like that”. I see parents that have a hard time distinguishing between what is actually in their child’s best interest (or what their child might benefit from) and what they themselves can handle and projecting that (or their own guilt) onto the child– it’s a parenting trap that’s easy to fall into, and one that undermines child development/growth/responsibility, etc. …Which is why I’m sending my 2.5 y.o. to Grandma’s for 2 weeks this summer. He has done a week there twice before with no incident, and I did similar trips to relatives’ homes when I was growing up– it’s a real thrill. I will miss him for sure, but I also know he will be JUST FINE. But don’t think I haven’t gotten nasty comments mentioning my two weeks of freedom/date nights/ a child free vacation with my husband…! Yep, jaw dropped. BUT I find it incredible that in 15 years, not a single child needed to be picked up, that is really impressive! I was on the teacher side for three trips with 4 and 5 year Olds to a farm in Bavaria. We stayed for 4 nights!! There were 30 kids, three teachers, and in all three years, not a single kid asked to go home. Honest! It was sooooo much fun. What a wonderful tradition! 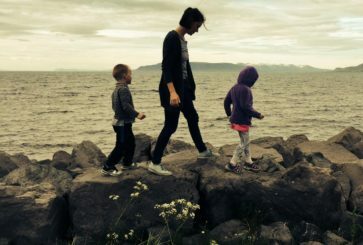 We use an AuPair as a caregiver and o just love hearing her perspective on the differences between parenting across countries. She has family in Haiti, she is from Paris and we live in Minneapolis. It’s been such a cultural journey and I’ve loved it. In the US parents seem overall much more uptight and hands on, I feel my parenting style resonates more with European style and fostering independence! This sounds awesome! My 2-year-old son spends several nights at a time with his grandparents or my sister and loves it. We’ve been doing it since he was 1, so there’s zero anxiety on his part. It’s just normal. My sister is single with no kids, and she plans the most amazing activities for him. We joke that she’s a better parent than my husband and I. :) Of course, I miss my son when he’s gone, but I love that he knows he can have adventures on his own and come home and tell us all about them. And I love the break! Loved reading this! I’m an American living in Mainz, Germany with a 4 year-old in the Kita, and though we haven’t been notified of an overnight trip to the farm (yet) it wouldn’t surprise me in the least. Living here has really expanded my expectations of what toddlers/young children can do on their own, and now I don’t bat an eye when I see elementary age children taking the public bus by themselves or riding their bikes to the playground with nary a parent in sight. P.S. I totally cracked up at the “Hochzeitsbett”!! I love this! I would have had a very, very hard time letting my 3 year old go off on a big trip, but can see now that he would likely have had a splendid time. I adore every minute I spend with him, but have learned over time how valuable the time he spends away from me with other adults has been in his development. He recently came back from a week long school trip to another country (he is now 12) and he had a fantastic time. He managed his own money, didn’t lose his phone and learned how to deal with difficult roommates. He cannot wait to go away without us again and even told me that he DOES NOT want me to come on his class trips, even if I’m allowed to attend. this is so eye opening and just plain cool!! 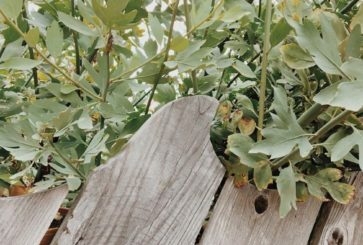 Growing up on Cape Cod, we’d do a week sleepaway at a hostel in Truro sandwiched in between the dunes leading to the Atlantic ocean and gorgeous nature walks. But this was in 5th grade! Still, why not start them younger if you have the opportunity. I didn’t grow up anywhere exotic. I grew up in a suburb of Chicago. But from the age of five (!) my parents pushed me right out the door and I played on my own independently with the neighborhood children until the street lights came on. Didnt most kids in the early to mid 1980’s do the same? We played in each other’s backyards and parks and later when we were seven or so we’d ride our bikes to the local pool and beyond. We came home for lunch when we were hungry or to to get a toy, not because we had a schedule. We were masters of our own play. That amount of independence has everything to do with being a fully functioning adult. I also went on my first overnight with the local Brownie troupe at 6 years old. No one batted an eye. 3 is pretty young for an overnight. That’s pretty impressive. Ditto. We used to build huts, campfires (never lit), and hunter/gather in the ‘woods’ before dinner. A few years ago visiting the old neighborhood the ‘woods’ was just a strip of thick trees in a reserve behind our street. But we all thought it was 100x bigger, lol. I LOVE this!! It sounds crazy but I used to fly unaccompanied from Sacramento to San Diego (a little over an hour flight) every few months for a few years starting when I was four years old. My parents had separated and I would fly down to see my dad and my grandparents regularly. My mom would walk me on the flight in Sacramento, buckle me up, kiss me goodbye and then walk off the plane. Since I flew the same flight regularly, most of the pilots and attendants knew me and I was very familiar with them. They were always so kind and once they served everyone their refreshments they would give me my snack up in the cockpit with the pilots, if there was no turbulence. It seems so mind boggling now but it was totally routine then. The flight would land, passengers would deplane and then my grandmother would walk on the plane to unbuckle me and walk me off. I personally think in our culture that we tend to underestimate our kids. Having this experience, especially because it was so positive, made me have a spirit of adventure and comfortable around people outside of my family. To this day, I adore traveling and have very little fear in doing so. I too traveled between parents, starting at age 5. Several times a year I flew alone from San Diego to Albuquerque, New Mexico. No one seemed to think it was going to be too scary or difficult for me. While this helped to develop my can do attitude, there were times when I was very anxious about the state of the airplane (during rough travel). I just remembered that I was once seated next to an elderly Lady, and we chatted (ok, I’m sure I chatted her head off) and when the plane landed she opened her purse and gave me a $5 bill, in 1982, I was rich! Apparently she had been entertained. All right, I’ll be THAT mom– I can hardly even stand to think of this! I hate being away from my son. That said– I’m American, and I had to put my son in day care 40 hours a week beginning when he was only nine weeks old. It may have introduced a scarcity mentality in me (and maybe in him, too) as regards time together. He’s almost three, and I’ve never spent the night away from him, even just leaving him with his dad. My stay-at-home mom friends seem to have different feelings about away time. I’m sure there is a good balance, but I definitely feel like I’m on the wrong side of it for an overnight trip to sound good. Agree with you 100%. As a full time working mom, time away from my son that I CHOSE would be torture. I couldn’t do it. This is so cute and interesting, thanks for sharing! I live in slovenia and my older child (he is two) just came back from a two night stay at a farm, and he loved it, not a single tear, and he is back to normal only happier! This sounds so great! My parents sent me to Italy with my grandparents for six weeks when I was 6 years old. Everyone thought they were nuts but I was close to my grandparents (which only increased over time) and it gave me, as an already shy little kid, such a confidence boost! My mom totally knew how important this kind of thing would be for me — and I later spent most of my teen years summer in Italy and love love travelling now! In Argentina, there’s usually a sleep over at school, when kids finish kindergarten (age 5). And then, every year after that, they go some place else. This year my youngest boy (now 9) is going with his schoolmates to a northern province (Cordoba) for three nights. The oldest one (age 11) is going to another province ( Mendoza) for 4 nights. Of course every detail is taken care of and we know exactly where they are and with whom they interact (teachers, guides) every day. It’s so important to foster independence and also appreciate more everything and everyone at home when they return. It was very interesting to read the comments ! I find German children learn independence so much earlier and easier than American kids! They ride public transportation by themselves at a young age, they can drink legally at 16, and when they go off to university they have to find their own apartment- there are no dorm rooms! it’s interesting because lately i’ve found myself wishing we were *allowed* to let kids be more independent here. toby has been asking to walk to school by himself — he thinks it’s sounds really exciting — and i would definitely let him (it’s only 5 blocks away and there are crossing guards and other parents everywhere, and he always follows the rules), but legally and socially it is not allowed. it’s an interesting thing to think about! Joanna, it’s legally not allowed? I didn’t realize that. There is a whole system set up here in Germany for “Schulweg” (school path) so the kids can go independently! I don’t know if it’s actually illegal, (it may be in New York,) but I know for a fact the police would be called if a child was seen walking by themselves and the parents would at the very least have to undergo a thorough investigation and probably have DHS take their kids away for a while. I read an article recently about a mother whose neighbor called CPS on her because her children were playing outside by themselves all day long and the neighbor thought that was neglectful. So I can completely see how more independence in the States is not “allowed.” So sad! That’s too bad Joanna – I ride the T in Boston and I regularly see a group of little kids ride the train together to their private school. They probably range from 5 to 10? No one blinks an eye. I also wonder if it’s really illegal–or maybe it could depend on the city or state. My kids attend a public Waldorf school here in Sacramento, and some of the kids walk or ride their bikes to school by themselves. Due to the curriculum, which values independence and self-sufficiency, we see a lot of what most of us would consider old style behavior from these kids…more outdoor play, sleepovers, camping, etc., and they start overnight trips with their class in 3rd grade. There are dorms in Germany – Studentenwohnheime. This is a very cool tradition! Seriously? Aren’t most toddlers/preschoolers independent enough as they are?? What about their spirited “NOOO! !” to whatever we say? I mean, physically they are still dependent on us, yes. Then, we’ll complain that our children are not listening to us and would rather hang out with their friends when they are teenager… Have they ever heard about the book “Hold On to your Kids”? (by Neufeld, btw if anyone is interested/curious). Thanks for the wonderful blog post!! Again, my comment from experience: I could hardly believe it at first, but I did believe it after listening to the caregivers talk after the trip, looking at their enthusiastic faces and looking at the photos: The caregivers enjoy the trip, too! They spend so much time outside in the beautiful country, they have so much fun with the kids whom they know so well and really cherish, it’s a nice break from regular routine for them, too! And the day after the trip is always a day off so the caregivers and the kids can relax at home. This sounds like my kids’ pre-school experience! They are out in nature for a few hours every day – no matter the weather, and one day a week they spend all day in the woods. The small ones take their nap on a tarp under a tree (they bring their pacis and blankets and Teddy bears from school), they draw and paint and explore nature, they sing, they read, they eat their (hot cooked) lunch from a bowl in their lap. They pick blueberries and chantarelle mushrooms (that I have to make sauce of in the evening). And they (2, 3.5 and 5 years old) go to an inner city pre-school in Stockholm, Sweden. Both my parents are from Europe (Sweden) and it’s funny because growing up they also raised me (and my sister) to be very independent. I would fly to Israel at the age of 5 alone (of course I hated wearing that ugly pouch around my neck with all my travel documents) and even after school my sister and I would be home without supervision at a young age. Sadly, I also think that the world was a safer place when I grew up. I don’t know that my parents would still raise us the same way nowadays and give us as much independence. The World is Actually Safer than Ever. And Here’s the Data to Prove It. Besides, the transition from Krippe to Ele (which is in the next door room) is also very sweet. Before summer, they spend some time in their new group getting to know the new kids and rhythms (they are 'the small kids' again now), and when the summer break is over they pass a little bridge (litterally, a bridge is build between the two rooms!) and say farewell to their old group and caregivers and are welcomed into their new group. I like this rite of passage and how they visualized this for the kids. They cross a literal bridge between classrooms!?! What a sweet recognition of an important transition… Love it. Is that at a Waldorf/Steiner based school? I’m not American and, when I first came to the States, I had the ubiquitous nanny job. Thankfully, my employers were really open to letting their kids be more independent and let me do things with them that other families would have never dreamed of letting their nannies do! With a four-year-old and a one-year-old, I’d get on the train from suburban NJ and spend the day in NYC, taking them to museums and cafes. Nap time was in Central Park, on a blanket, followed by playtime and dinner out. Then back on the train, to go home. I did this quite often in the summer; in winter, I took them to City Center to see a ballet or stroll through the Met. I took them to overnight trips with me to visit friends, to JFK Airport to pick up my father… craziness! Other parents were aghast and often critical but my employers held steadfast. The girls would be excited to tell their parents what they saw, what happened, who fell, who ate what, who refused to be “a good girl” and the stories almost always ended with a laugh. The three girls–yes, a third one came along– are now out of college and all three have incredible wanderlust! I was in my early twenties and can’t believe how much the parents trusted me. They did express how much they wanted their kids to be exposed and independent, asking me to teach them how to cook, bake and sew–which i did a lot back then–and anything that might seem different and interesting. All three girls were later later flower girls at my wedding… and have become smart, independent young women. One of them lived in Paris for a while and, every year on Mother’s Day, I get a greeting from the oldest one. Independence is invaluable–a lesson I learned long before I left my country and immigrated to the United States, at 20, by myself. What an amazing story! Obviously you had such a big part to play in their young lives. Really fascinating, and also really lovely to hear such a great story about childcare going so well and being so rich and fulfilling! As a berlin mom, I am familiar with this tradition. BUT: after having experienced a three year old, a four year old, a five year old and finally a six year old being away for three days, I definately say three years is too early. All the kids had nervous breakdowns during pick-up time.It took days to adjust to normal.They lacked sleep and were just overwhelmed.My daughter is very independent, she is in the streets on her own in the neighbourhood and loves to sleepover.But these trips with the kindergarden only make sense at the age of 5 or older. I agree. We are near Munich and although the Kindergarten offers stays from 3 years of age, I would only let my 5 year old go. My 3 year old is not ready, and it would be too overwhelming. Our current daycare does sleepovers a few times a year, so the parents can have a night out! There is usually one around Valentines day! It’s always a big party, the kids eat treats, dance, play dress up, they love it (my kids are 2 and 4)! that is so, so, so sweet!! I have such mixed feelings. I love the idea of my littles being strong and independent but they are only babies for a short time. I honestly could never imagine this happening in the US, party because of overbearing parents but honestly, I doubt the teachers and caregivers would take on so much responsibly and hard work. I’m curious how many adults and kids go on this overnight trip. I think you underestimate the lengths teachers will go to to give kids opportunities to experience the world, broaden their perspectives, and help them become more independent. I am currently with my husband leading a trip for high school students for 18 days to Spain. Students got to sightsee in Madrid, and now they’ll live with a host family and take Spanish classes in the morning. It’s hard work, long hours, emotionally draining, but similarly so much fun and so rewarding. More, the kids are so brave and open! Give teachers a little credit. We want the very best for kids, too, and when given the opportunity, we’ll sacrifice to make amazing things happen for them. Yes. But I think this is due to the fact that the caregivers could be sued for almost everything. People don’t do this in Germany and Scandinavia. This is really interesting tradition. I’m actually not surprised by this at all. When I was in college, I lived with a French and American family in Rome and their children, both 5 and 3 at the time did a trip like this to the beach. I recall being shocked at the time but they explained that it was tradition and that the kids loved it. I don’t know if it would go over well in America but I love the idea/think cultures in Europe have the most unique traditions and love learning about them here! I live and work in Germany as one of these teacher/caregivers, and I can agree that German kids do this and love it. One of my funniest days was after the big annual kita sleepover, when all of my students were so proud of themselves for spending the night! With their friends! At school! “And Fritzi read us a bedtime story and Mischa played the guitar!” I love how Germany treats children. They’re such capable tiny beings. My kid’s class also went on a two-night trip–the classes were “toute petite section” “petite section,” “moyenne section” and “grande section” of the maternelle: ages 2/3, 3/4, 4/5, 5/6 years old. Total of about 30 kids. Grande section is like kindergarten. They went to the Mediterranean Sea, about 45 minutes away. My kid didn’t go until age 4. They not only managed to have fun, but the teachers and assistants also kept them covered with sun lotion. Unfortunately (?) it is not a all-german tradition. Here in Hesse the first overnight stay for kids is in elementary school at the age of about 7 or 8 years. Yes, we have “Jugendherbergen” and stuff like that in Hesse too, but the kids in the hessian kindergärten don’t go there in this young age. At least at the kindergärten I know in the area of Frankfurt. Yes, I’ve heard from friends in Hessen that this tradition is completely unknown, actually! We sort of had this in elementary school in 1980 and was a tradition of many years. We weren’t three, but as part of fourth grade we went away for a school week to a camp in the woods. Got dropped off on Sunday night and picked up Friday afternoon from school. It was scary but fun. My school stopped doing this about 1990 as there were too demands and interruptions from parents and I think also the insurance got crazy. A shame. It was fun and I still remember a whole afternoon where we had to find an alone place in the woods around the camp and journal about our thoughts and what we saw. It was the first time I can remember really thinking about how much I liked being outside and watching animals, plants, insects, etc. Today, I am an environmental biologist! We did this-just in our school district- in the 90’s too, there was the option of weekend tripos during the winter or whole week trips during the summer. We were older, but they don’t even offer it anymore, which is such a shame. I spent a whole week collecting bugs and plants, working in groups, hiking, and learning how to catch ground hogs and snakes and it was awesome. this. sometimes i feel like i can’t speak too much to my parenting style currently. our daughter is only one. But, I already know that giving her a sense of freedom and independence is important to me. Wow, that is very young and you would have to have complete confidence in your child’s teachers. I think if all was lined up properly…confident healthy kid, wonderful teachers, safe venue, then it could be a fantastic experience for all. It just seems like it would have to be perfect circumstances for a mama like me to let my 3.5 year old go away for two nights with their class. There is no way I would have let any of my kids do that at 3.5 here in FL. It sounds amazing though in Germany. I wouldn’t let my kids do it in Florida either. You hear way too many crazy stories come out of Florida. I was born in raised in Germany too and this absolutely reminds me of my kindergarden trips. I am not quite sure how old I was though. I can imagine some parents having a hard time letting the toddlers go at such a young age and it is true, time is short. But I have only fond memories of those trips and I would not want to miss them in the world. It is not all about learning to independent, I’d say, it is also about making these memories of sharing something with childhood friends. What a wonderful tradition, and so sweetly recounted by Luissa Weiss! I went to what we called a “Campus School” from pre-k through 2nd grade which was a kind of a training school for teachers and we got to do some more experimental things looking back (like lab science with bunsen burners in first grade), but one of the activities I remember quite clearly was a sleepover at the school. I would have been only about 4 when I did it during pre-K and remember it being a fun activity we looked forward to (though no train trips to get there). Perhaps it is an earlier version of nature’s classroom in the US? If I remember correctly, that happens in fifth grade in the northeast, for one night. Omg, this sounds amazing, but oh-so-nerve wrecking! Why nerve wracking? What would make you nervous? I feel like so many American parents leave their kids with babysitters to go on a date (something most Germans never do) but the teachers they are trusted with daily.. That wouldn’t fly? Where do I sign up!?!? I have a 4.5 yo girl and 2.5 yo boy and they would probably trade in every toy they own to do this. I love the German ideals of strong, independent children. Her previous post regarding kids toughening up on the playground stuck with me. I now encourage my daughter to try diplomacy first but to stand up for herself too. I LOVE these insights into other countries and the way they raise kids. This is so interesting. My cousins grew up in France and they frequently took different overnight field trips at a young age. I grew up in Berlin and we did this, too, when I was little (I am 34 now), though I remember it as being only one night. Still, it was so much fun! So glad to hear this is still being done. I couldn’t help but feel so nervous while reading that, imagining my 4 year old away for 3 nights! Our kids have sleepovers all the time with their grandparents and I’m totally fine with that and I don’t worry about them one bit. But 3 nights in that setting seems like too much (for a nervous parent like me maybe?). I don’t think I could truly relax the entire time she was gone. The activities and setting sound so lovely though. I couldn’t ever picture something like that here at all! (Here in Edmonton, AB Canada that is). i guess i don’t quite see the point. i know too many parents who are so eager for their little ones to grow up and be “independent”. i’m not. this time goes too fast, if you ask me. i’d have no interest in sending my toddler away. my son is 9 now, and very well adjusted, without sleeping away at 3. Sendling away? I don’t see it like that. They are having a big sleepover with their friends and teachers who they see every day and spend time with, often more time than many family members. They learn a variety of life skills and confidence in themselves. Believe me, I’m in no rush for Hugo to grow up, nor are any of the other parents who send their kids on these trips. It’s meant to be good fun in the countryside, not a crash course in being a grown-up. This is so AWESOME!! We are lucky enough to have my parents close and our 6 year old does many overnights and has done a few single weeks away from us. But for many – that is not an option. What a great opportunity for parents and for kids! Wow! I think this is wonderful. 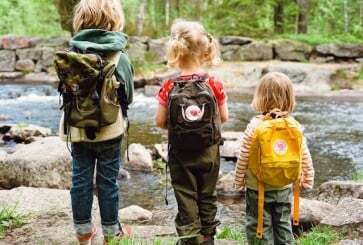 It’s not only a great adventure for the children, but a chance for parents to truly get a practice of allowing their children to have independence without any guilt. Seems like everyone wins, but it really does seem so strange that I’m not sure this tradition will hop over to America any time soon! The youngest I left my parents was for a Girls Scout trip in 2nd grade for an overnight trip. I was calm, cool and collected about leaving my parents but now that I’m older I can’t imagine how my mom felt loading me up and saying goodbye for such an adventure. What a cool tradition! I think parents can be a little overbearing in the US and I love the sense of independence that is being instilled into these kids at such a young age. Something they’ll likely appreciate for years to come! Thanks for sharing! i love how the teachers said, ” They are strong and happy! You should be proud!” That brought tears to my eyes! This happens in Belgium too. My nieces have been going away on trips from a similar age. They always enjoy them and come back with lots of excited tales to tell. This is so cool. I wish we had more of these independence-building activities in the United States. It’s so important for children to be self-sufficient and for parents to have a break! Benefits everyone!